Absolutely stunning remodel. Everything is new! Enjoy this beautiful turnkey Hawthorne home in an enjoyable neighborhood close to everything. Property features new wiring and electrical throughout. New laminate wood flooring, new paint, new tile, new granite countertops and custom cherry wood cabinetry with etched glass in kitchen. Kitchen also has stainless steel appliances and stainless steel sink and hardware. Window treatments throughout, Cozy fireplace in living room, Ceiling fan in kitchen eating area and sliding glass door opens to backyard. Large spacious bedrooms with separate entrance in rear room. New windows, New exterior paint, Inviting entryway with manicured lawn. Long Driveway leading to large backyard with patio and large grass area, storage shed and detached garage. 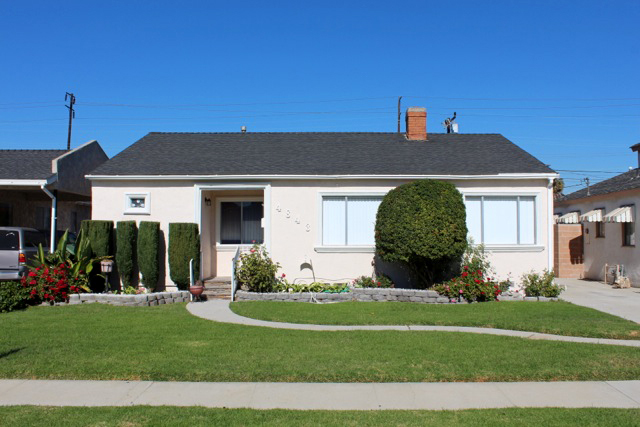 Remodeled bathrooms complete the transformation of this immaculate Hawthorne gem. Close to freeways, shopping, parks, theaters and library. Just a few miles from the ocean! Must See this Turnkey Hawthorne home.